The Shin Ken Kan dojo is a school that is that is associated many other schools within the Ryu Te® Ren Mei organization that teaches classical Okinawan martial arts. Ryu Te® was founded by the late Taika Seiyu Oyata, in which he wished to pass on the classical martial arts of his teachers and of Okinawan karate. He named his art Ryu Te®, the Ryu Mr. Oyata took was from the character Ryu 琉 in RYUKYU 琉球 to show that his art came from Okinawa. Te is the general character for hand and thus combining the two to create Ryu Te®, meaning hands of the RyuKyu Islands. The goal of the Shin Ken Kan dojo martial artist is to develop a strong and natural style of self defense and life protection techniques. By using natural body mechanics and correct body alignment, the practitioner will develop a strong foundation to which more advanced techniques and martial application can be applied. 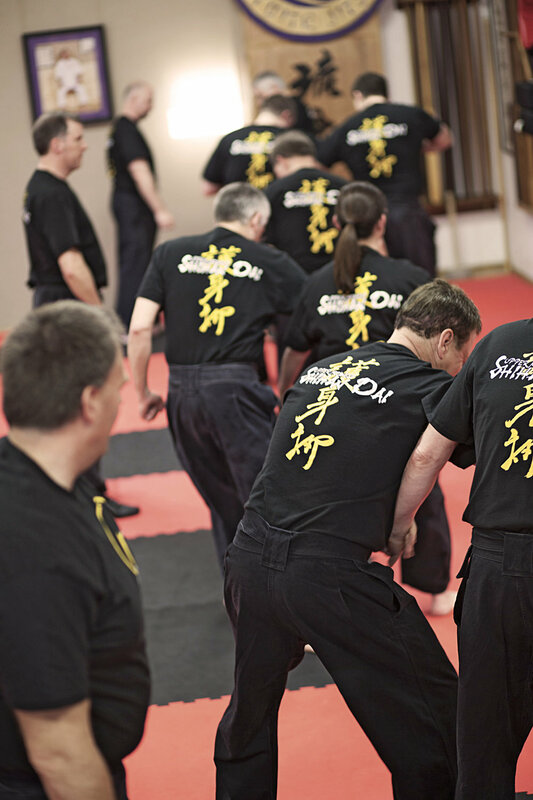 A serious and committed student of the Shin Ken Kan dojo will learn to use their natural body mechanics to overcome opponents by strategy, distance and timing. As well as natural and fluid body mechanics that are the key to proper karate-jutsu 空手術. Training at our dojo will provide the student with a highly effective and natural style of self protection, as well as an insight to Okinawan culture and the philosophies that helped develop and cultivate the warrior craft of the ancient Ryukyu warriors. The classes at the dojo are motivating, challenging and an intense workout, where students will walk away with something new each class and a stronger sense of self-confidence and self-awareness.